Despite previous indications of the contrary, De Beers Canada has announced that its Victor mine, the first and only commercial diamond operation in the province of Ontario, is shutting down in early 2019. The mine, which began production in July 2008, was forecast to produce 6 million carats during its life and, according to De Beers, it has already exceeded those projections. To date, Victor mine has yielded about 7 million carats and it will continue to operate at full production throughout its remaining life, De Beers said. At one point during the first years of Victor mine’s productive life, De Beers considered an extension of the pit, as well as the chance of processing low-grade stockpiles and possibly developing a nearby deposit called Tango. Once Victor diamond pit has been depleted in 2019, the demolition and environmental monitoring phase is expected to take three to five years. The company, however, has determined it's not economically viable to extend the life of the diamond mine, which can only be accessed by air year round, or by a winter road for five or six weeks in January and February. 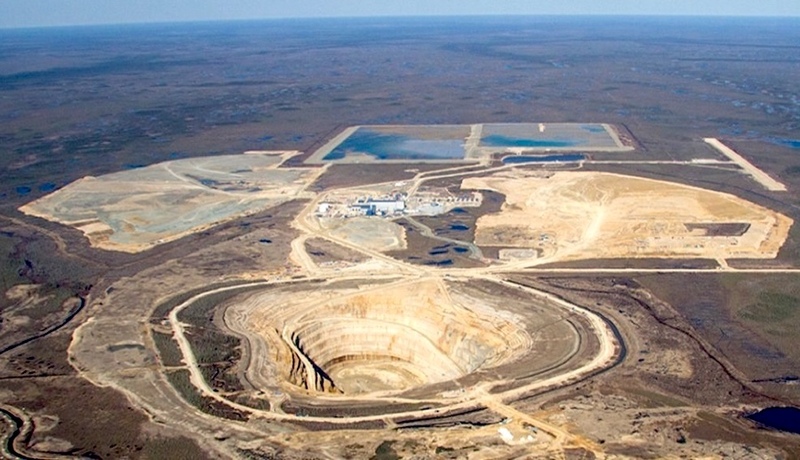 Currently Victor mine, one of 18 kimberlite pipes discovered high in the Canadian Arctic in the late 1980’s, employs about 350 people and roughly 150 contractors. The company has made an effort to hire people from the nearby Attawapiskat First Nation as well as other First Nation communities present in the region. Once the mine pit has been depleted in 2019, the demolition and environmental monitoring phase is expected to take three to five years. Kim Truter, CEO of De Beers Canada, said the company is working closely with community partners to create opportunities for employment and awarding contracts that will be required during this phase. De Beers, a unit of mining giant Anglo American (LON:AAL), has been operating in Canada since it carried out its first explorations in 1961. Victor was its first economic diamond discovery in the country. In 2016, De Beers with its joint venture partner, Mountain Province Diamonds, opened the Gahcho Kué mine in the Northwest Territories, the largest new diamond mine to open in more than a decade.